Get your iPhones ready, folks - Instagram is calling. Surprisingly, the atmosphere of a dining location substantially influences our subconscious perception of food we eat there. 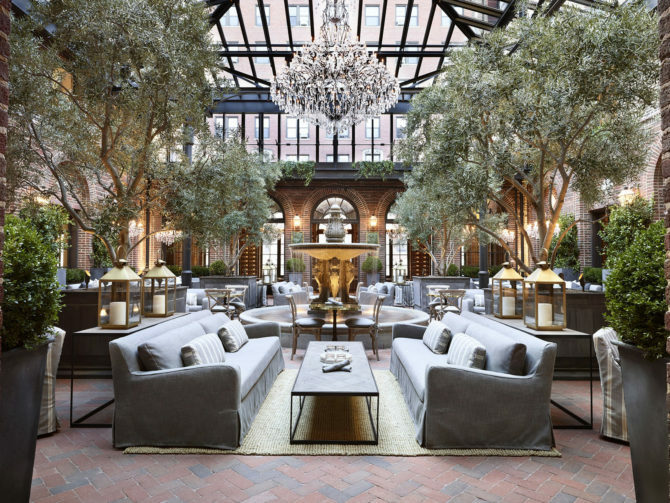 Long noted in a New York Times article published in 1986, every minute detail down to the noise, the lighting and the structure of the restaurant interior can either enhance or detract from our experience. 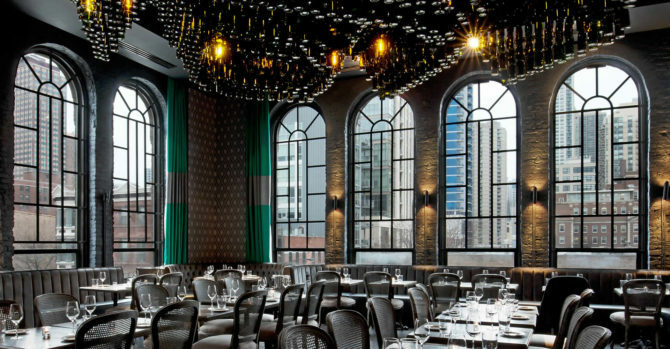 It’s no surprise that the highest commended restaurants are easily the most beautiful. 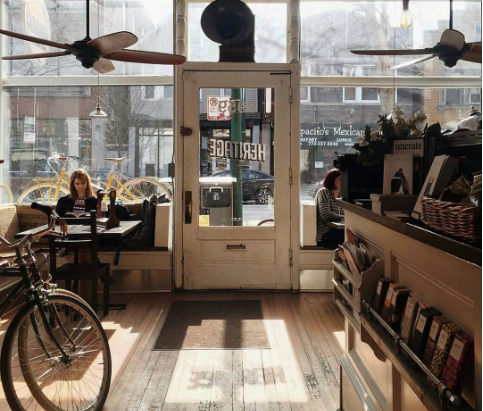 Whether you care for the science, or just want a perfect Instagram picture, below are the 15 most aesthetically pleasing cafes and restaurants in Chicago. 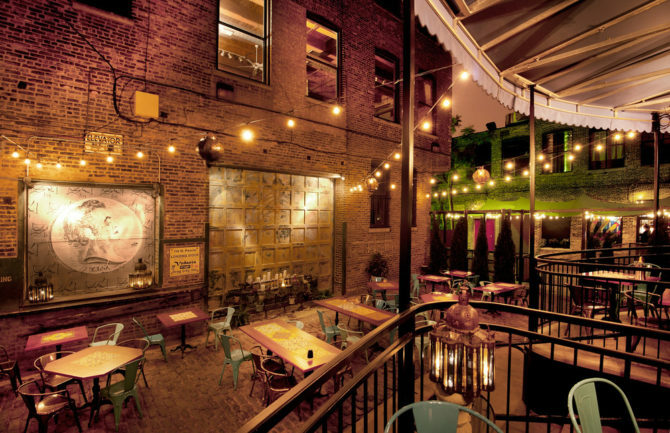 In conjunction with SPACE, Union Pizzeria is an informal setting which hosts occasional local performances. At night, the place is lit by thousands of suspended lights, reminiscent of the floating lanterns from Tangled. Due to its popularity in the neighborhood, lines start forming outside 15 minutes before open. 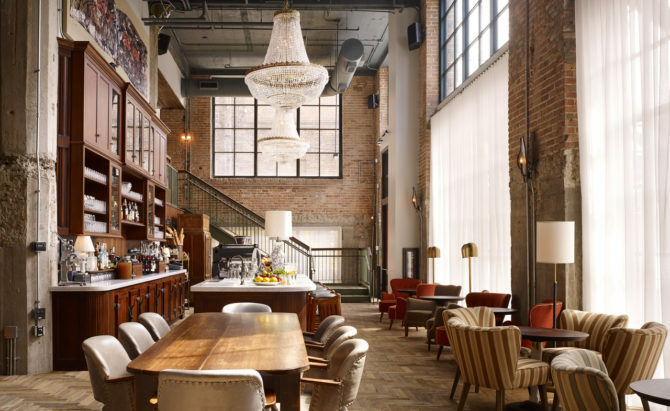 Located in the lobby of the Chicago SoHo house, the Allis is a popular brunch place in the west loop. 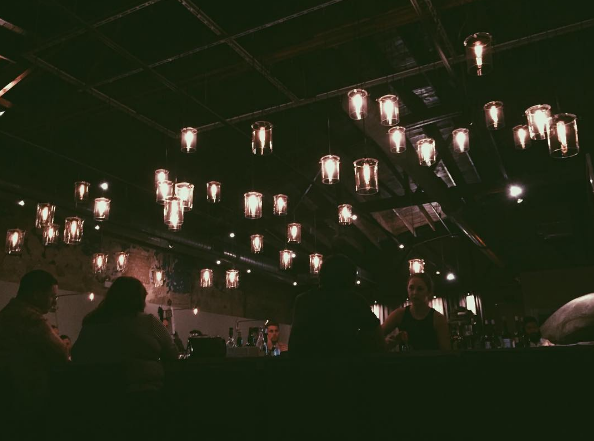 Famed for its rustic and refined vibe, the style of the food parallels the decor: simple. Afternoon tea is also offered here for those aspiring for something a little more fancy. 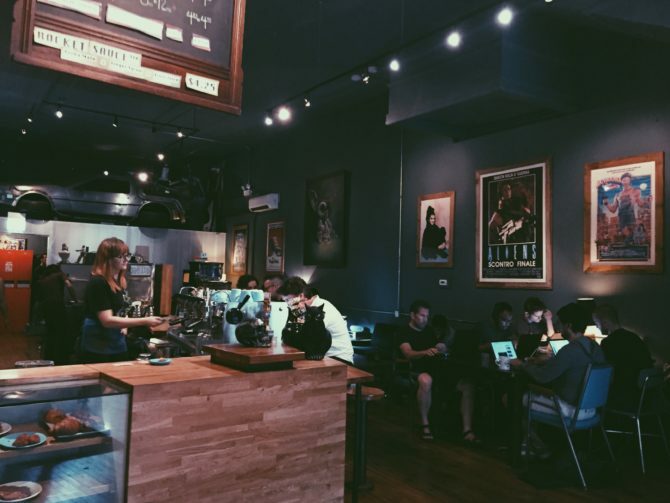 Like a trip back in time, The Wormhole Coffee in Wicker Park serves coffee in an atmosphere filled with quintessential nostalgia pieces, complete with an almost-to-scale model of the Delorean. 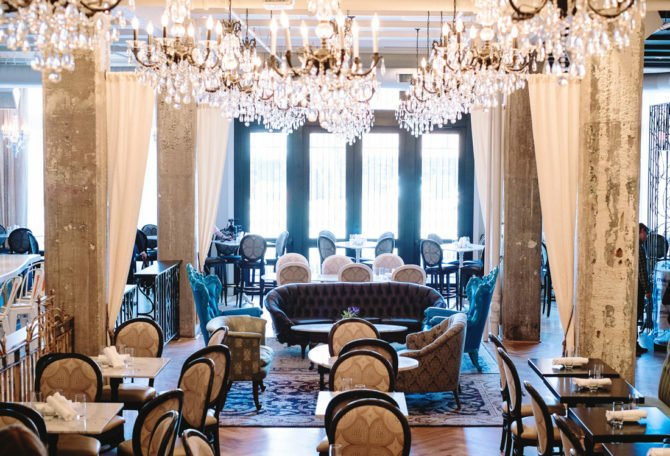 Recreated through the restoration of an old hardware and furniture store, the cafe proudly displays remnants from its last ownership and is a conglomeration of cafe, wine bar and restaurant (not to mention the lofty and stunning seating area). The lighting in here is absolutely fantastic and will make all your pictures Insta-worthy. Boho Chi(c). A perfect place to go when your inner hippie is also feeling classy. Floor-to-ceiling windows allow natural light to stream into the dining area, lending to an open atmosphere. The interior design is also extremely interesting, and the installation made completely from empty wine bottles exemplifies it perfectly. Who would’ve thought bikes and coffee made such a perfect pair? Heritage outpost combines a bicycle shop and a cafe all in one lofty space. An opportune location for photography, it’s a great little spot in uptown to relax and grab a coffee. 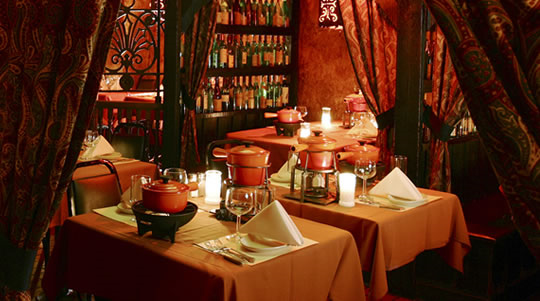 A romantic little nook that’s been around since 1965, Geja’s cafe offers fondue dining with occasional features of live Flamenco and classical guitar. Plus, you can’t ask for a more romantic setting than this if you tried. A quaint, European inspired place. The salon is made even more cozy with the installation of marble fireplaces and a roomy patio. The more posh sibling of RM Champagne Salon, Nellcote offers Euro-style small plates and cocktails. 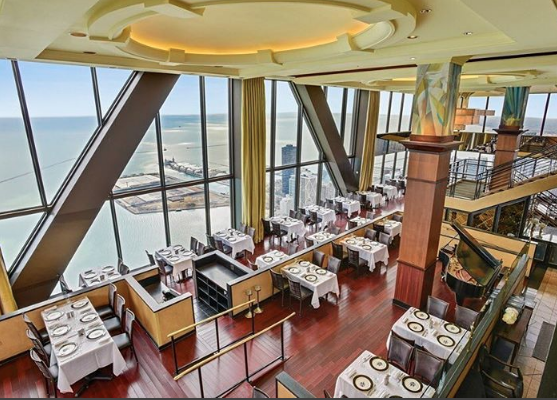 While a full-priced meal can get pretty costly, the view of the skyline running along the lakeshore is worth at least an appetizer and a drink to see. 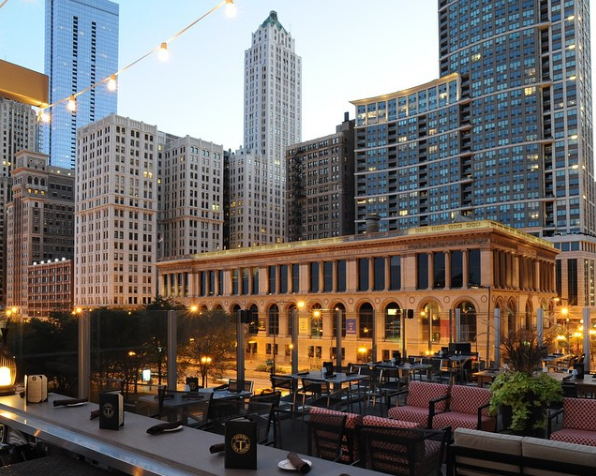 A two-story contemporary pub that is seated right across from Millenium Park, guaranteeing you nice views with your good food and drinks. 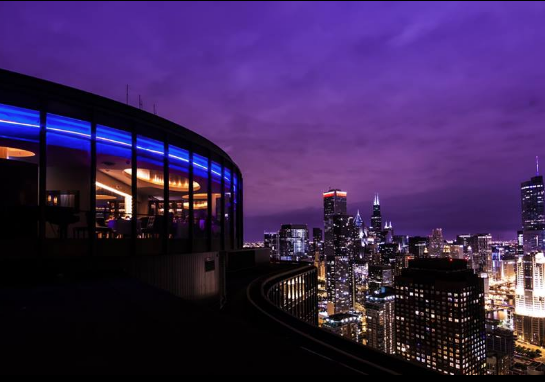 The french-influenced restaurant does fare a little on the pricey side, but the views of Navy Pier at night are incomparable to any other nighttime aerial view. The popularity of bookings spike on the nights when Navy Pier has fireworks. 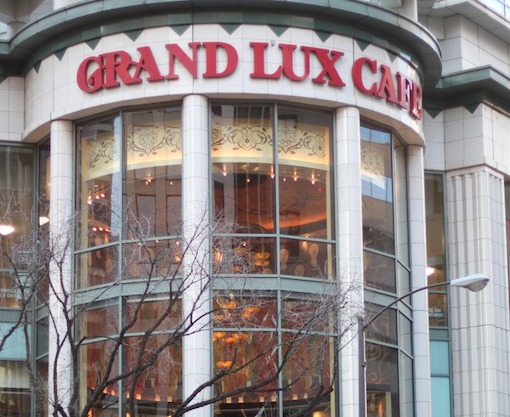 Situated perfectly on the strip of the Magnificent Mile, the cafe overlooks Michigan Ave. From the cafe, especially during nighttime, the view from the outside looking in is just as grand as the view from the inside looking out. 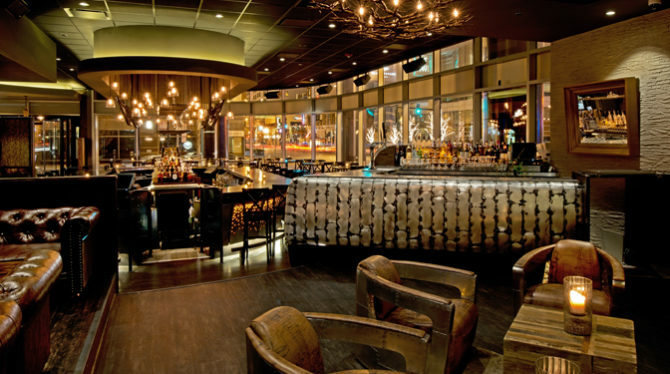 Sleek and modern inside and out, this restaurant is not only pretty, but substantial as well. Homemade pasta, neapolitan pies, a mozzarella bar and more. 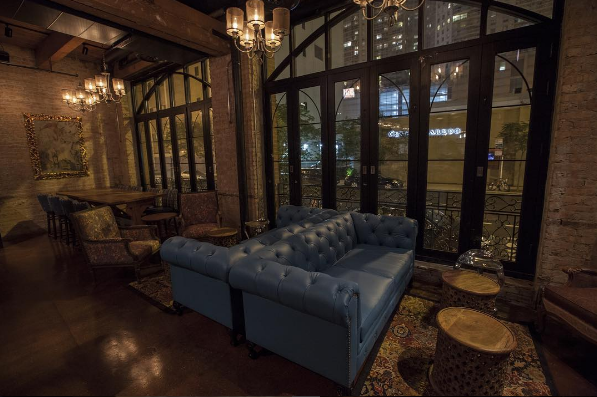 Siena Tavern puts a spin on without distorting the classic Italian style.